Call it the achievement gap or the opportunity gap, it adds up to the same thing. Kids from low-income families perform at a lower level in school than their more affluent peers—and much of this gap has nothing to do with their school day experiences. 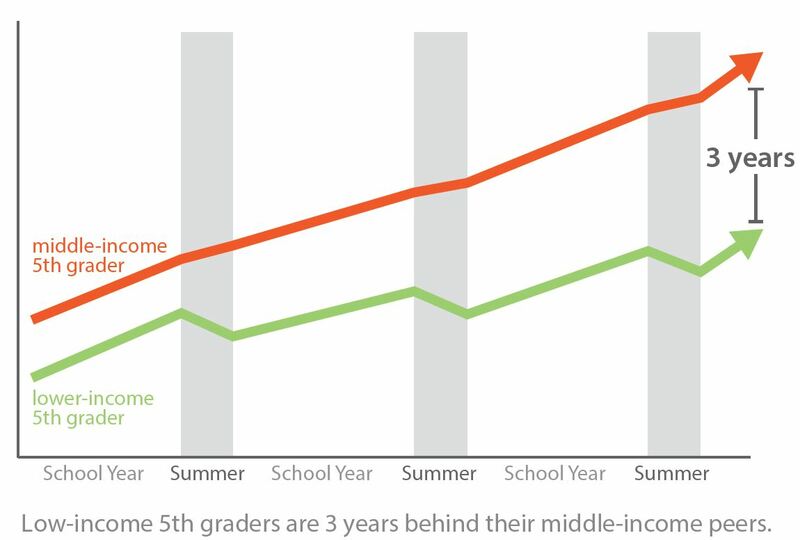 Over the summer, low-income students with less exposure to informal learning opportunities fall 2 months behind, while their middle-income peers continue learning. So year after year, the gap grows. Kids from low-income families also run the risk of food insecurity during the summer. During the school year, they get many meals at school to help ensure they’re well fed and ready to learn. Without summer-long Expanded Learning Opportunities (ELOs), many of these kids may not receive adequate nutrition, which will affect what they retain from the school year and learn during the summer. This gap isn’t just theoretical. It bears out in tests, grades and in-class performance. 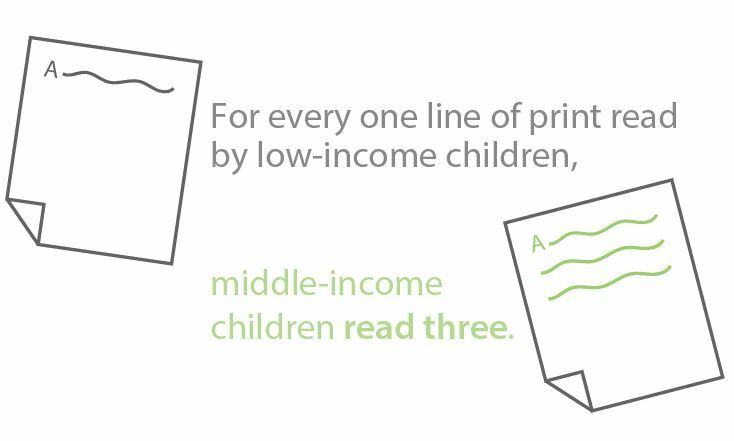 Children from lower-income families score worse. And the summer slide and lack of informal learning opportunities are largely responsible. (American Sociological Review, 2007). Middle-income kids, for example, go to museums, take dance classes, have high-quality private tutors. Their low-income peers, through no fault of their own, lack access to such opportunities. High-income families invest approximately $100,000 more in their children’s out-of-school learning activities throughout their K-12 years than their low-income counterparts. Increased investments from the wealthiest parents have widened this divide in recent years. It adds up to a huge challenge that impacts low-income kids, our future workforce and Nebraska’s continued economic viability. The research is clear on this point. Low-income kids who consistently spend time in high-quality afterschool programs show strong academic gains. 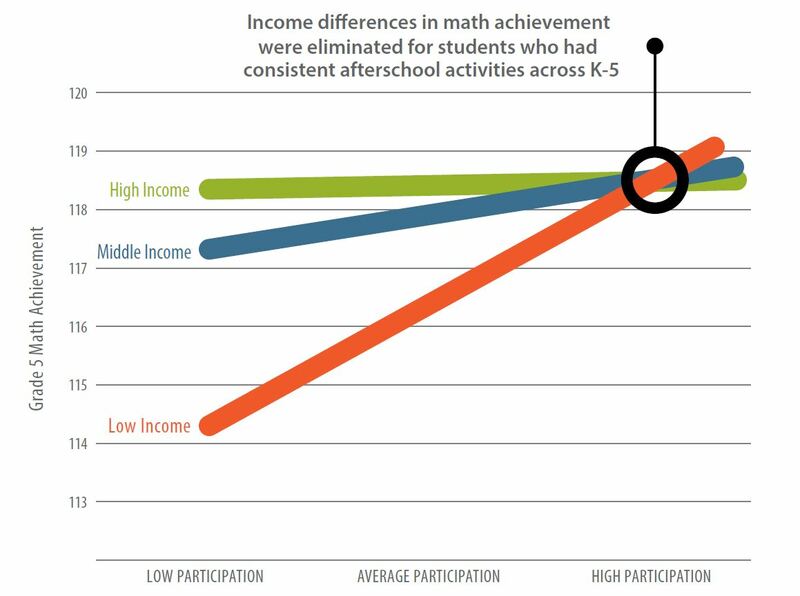 One research study found that regular participation in afterschool programs targeting math skills across the K-5 years eliminated the math achievement gap by 5th grade . Students who need improvement most—those from low-income families, non-English speaking households, or with other risk factors—show the most improvement because of their participation in ELOs. FIND OUT MORE NOW. DOWNLOAD THE BIG BOOK OF ELOs IN NEBRASKA.